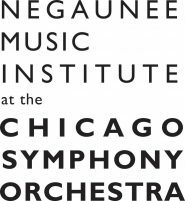 Beginning on November 21st at 7:30PM, musicians of the Civic Orchestra of Chicago will present a concert of chamber music at the Zhou B Art Center in Bridgeport. It will be the first performance in a series of four concerts presented at the Zhou B Art Center as part of their “3rd Friday’s” – an exhibition of works by local (artists-in-residence) and international artists, free and open to the public, 7-10PM every 3rd Friday of the month (includes reception and cash bar). Curated by the Citizen Musician Fellows, each concert follows a particular theme. The themes, which are purposely vague, encourage Civic musicians to think outside the box and to come forward with unique repertoire ideas. The theme for the November 21st concert is “Inspired by Folk Music.” The program (approximately 2 hours of music) will include a variety of folk music, ranging from Argentinian nuevo tango to Moravian traditional music and from Appalachian folk to Latin jazz. A detailed program is listed below. The Zhou Brothers, DaHuang and ShanZuo, founded the Zhou B Art Center in 2004 in Bridgeport, Chicago. Before moving to Chicago in 1986, the brothers had become nationally and internationally recognized contemporary artists in their homeland of China and abroad, including critically acclaimed shows in the United States, (West) Germany, Japan, and Greece. Ever since they moved to Bridgeport, they have further increased the cultural wealth and diversity in the neighborhood and throughout the city of Chicago. The art created by the Zhou Brothers is based around the concept of collaboration. With each piece they create, they do so collectively as a pair – quite like a dialogue. Interested in promoting cultural discussion and continuing in their theme of collaboration, the Zhou B Art Center has kindly invited the musicians of the Civic Orchestra to accompany their exhibitions during their “3rd Friday” series. The fellows are all really excited to be able to perform a unique and diverse repertoire of music in such an expansive and extraordinary space. The neighborhood of Bridgeport (just a bit southwest of the Loop), known for the Bridgeport coffeehouse, the Pleasant House Bakery, its young and vivacious denizens, and its artistically adventurous community, further acts as a backdrop to the evening and to the entire Zhou B/Civic Orchestra partnership. The Citizen Musician Fellows and the members of Civic encourage everyone in attendance to experience this concert, and all of the Zhou B concerts, in anyway that they want. Feel free to walk around the many art exhibits, talk, drink, sit, stand, or just listen. We hope to see you there. Bring your friends – it’s free! No tickets required. Free. All musicians are members of the Civic Orchestra of Chicago.